*The following is a sponsored post. 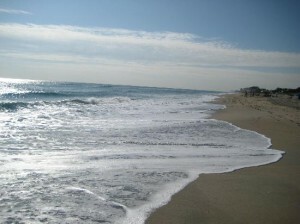 If you are looking for a summer home or somewhere to retire, you should really check out Boca Raton in Florida. Situated about an hour’s drive north of Miami up the I-95, Boca, as it is known by locals, offers great outdoor activities, fine dining, lots of cultural amenities and some of the best shopping on Florida’s Gold Coast. Getting there is easy too – the Fort Lauderdale-Hollywood International Airport is only about 20 miles away. Let’s start with the beaches. There are over two miles of pristine beaches that thousands enjoy every day, swimming in the warm waters that wash ashore from the Gulf Stream, which comes closer to shore at Boca Raton than in any place along the eastern seaboard. The beaches are connected with three city parks – Red Reef, Spanish River and South Beach, which provide many amenities, including picnic tables, barbecuing facilities, playgrounds and restrooms. If you don’t want to go swimming, you can take a walk along the dunes, which are extensive and dotted with sea grapes and sea oats that lend a touch of green to the otherwise unspoiled sands. If you enjoy golf, then Boca Raton has you covered. There are literally dozens of golf courses within easy reach, ranging from inexpensive public courses where you can play nine holes for little more than $10 – it’s not often that you see that price anymore – through to high-end championship courses such as that at Boca Dunes Golf and Country Club, or the Old Course at Broken Sound, which is home to events such as the Allianz Championship, part of the PGA Champions Tour. 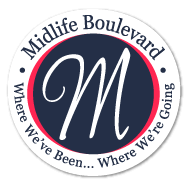 If you’re looking to set up home in Boca Raton, there are many great options, especially if you are a senior citizen. Many of these offer resort style living, giving you everything you would expect from a high-end hotel in a place that you can call home. For example, take a look at Sinai Residences, which offers prestigious senior living in Boca Raton, FL. This offers a range of living styles, from fully independent to high-level care. This means that when you move in, you can expect many years of enjoyable living, knowing that support will be available when you need it. 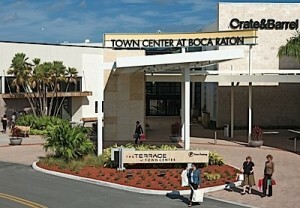 If you enjoy shopping, then Boca Raton is a delight. To start with there’s the upscale Town Center Mall, which has over 220 luxury stores, including Abercrombie and Fitch, American Eagle, Brooks Brothers, Burberry, Saks Fifth Avenue, Williams Sonoma and many others. There are also a large number of family-owned specialty boutiques throughout the city, which will give you unlimited hours of interest and pleasure. Boca is also a wonderful place if you enjoy cultural activities. For example, the Boca Raton Museum of Art, located in the Mizner Park shopping center, offers a stunning collection of classical and modern art, including paintings from such diverse artists as William Hamilton, Toulouse-Lautrec, and Maurice Vlaminck. Of special interest is the Mayers Collection, which includes 53 works by such European masters of the late 19th and early 20th century as Dégas, Picasso, Klee, Matisse and Severini. There is also an extensive collection of 20th century American art from artists including William Glackens, Sam Francis and Richard Florsheim. The museum also has over 180 examples of pre-Columbian artifacts, as well as a stellar collection of Oceanic and West African tribal art. There are lots of excellent dining spots in Boca Raton, ranging from the casual to the luxurious. For example, Anatolia Mediterranean Cuisine offers the flavors of the Anatolia region of Turkey in a casual indoor and outdoor dining environment. Here you can enjoy family recipes that use fresh local ingredients and imported fare from top-quality vendors, including Mediterranean sea bass, grilled octopus and many different types of lamb dishes. For a unique and upscale European experience, try Six Tables, which offers a five course, fixed-price menu each evening. All the food is prepared by the owner, who is also the chef – always a good sign. Other places to check out include Chops Lobster Bar, The Capital Grille, Lucca, and Kathy’s Gazebo Café. There are also reliable favorites, such as Ruth’s Chris and Legal Sea Foods. If you’re thinking of coming down to Boca Raton to take a look, it offers a range of accommodations from high-end hotels to family-friendly budget ones. You’ll find all the regular chains from the Hilton to Holiday Inn and the Renaissance, but for a high-end experience, why not check out either the Boca Raton Resort and Club, or the Boca Beach Club, both of which are part of the Waldorf Astoria group. I have been there. It is a beautiful place with so many thing to do. I did live the restaurants and the cultural activities. The only challenge is the darn hurricanes that come by in an occasion. Sounds like a nice place Cheryl and we have similar places along our coastline. It seems to be a trend for these type of places. I visited Boca a few times when I was working in Florida in Everglades National Park. Never in a million years did I think I would like Florida, but how can a person not like the beach and that climate?